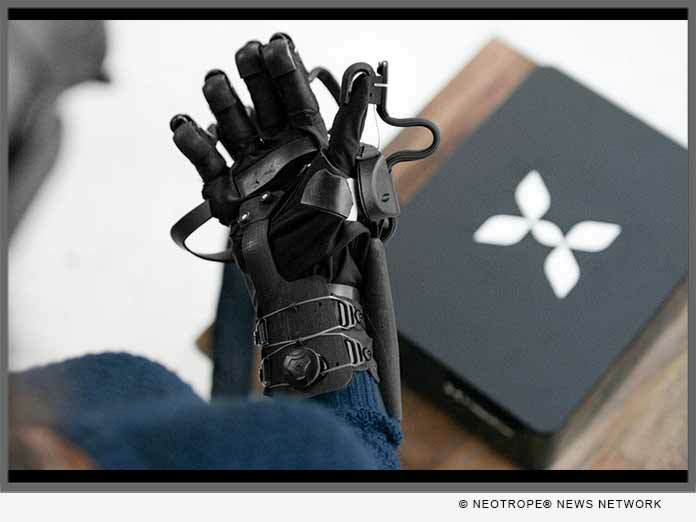 HaptX Inc., formerly AxonVR Corporation, announced today its first product, HaptX Gloves, the world’s only haptic wearable to bring realistic touch and force feedback to virtual reality. HaptX Gloves feature over 100 points of high-displacement tactile feedback, up to five pounds of resistance per finger, and sub-millimeter precision motion tracking. (SEATTLE, Wash.) — NEWS: HaptX Inc., formerly AxonVR Corporation, announced today its first product, HaptX Gloves, the world’s only haptic wearable to bring realistic touch and force feedback to virtual reality.